I am pleased to announce that we have just released Onyx for the Web Client! For those of you who already know what Onyx is, you are probably already doing a victory dance at your desk. Onyx has proved its popularity in the past, with the only hurdle being that it could only be used with the C# client. That is no longer the case– and as of today, you can download Onyx for the Web Client and be running in minutes! Onyx for the Web Client is a Fling which enables Developers and System Admins to gain access to example PowerCLI.Net code for actions taken in the vSphere Web Client. This Fling was the winning entry in last year’s 2014 Fling Contest it’s an update, of sorts, to the Onyx fling, as it allows for similar functionality in the web client. The Onyx for the Web Client fling provides the ability to record actions taken in the vSphere Web Client and turn these actions into PowerCLI.Net code helping Developers and System Administrators by providing sample code which shows how an action was taken, and gives the basis for code to be re-used in better defined functions, or for sample code to be used in search engines to find the API documentation and information on how to use this area of the vSphere API. 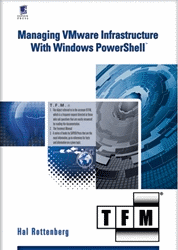 PowerCLI is a very robust automation tool, created for administrators to work within their virtual environments. Although PowerCLI has almost 500 cmdlets that support more than 10 products and technologies, we realize that there are situations within given environments and use-cases where there is not a specific cmdlet that will perform the actions required. 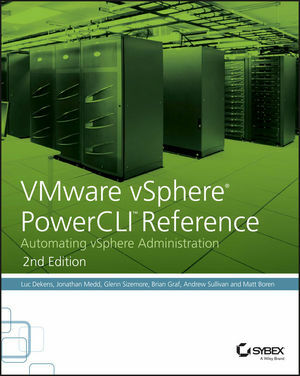 In such cases, PowerCLI has the ability to allow administrators to work directly with the vSphere API, allowing them to create additional actions and commands that otherwise don’t exist in PowerCLI. At this point, Onyx can then be used, allowing users to record actions performed in the vSphere Web Client, and output the underlying API calls. These can then be saved and edited, allowing users maximum flexibility without required a deep understanding of the vSphere API. Up until vSphere 5.5, users could leverage the original Onyx fling with the C# client. When vSphere 5.5 was released, there was certain functionality that was only found in the vSphere Web Client, and therefore, users were unable to work with the vSphere API calls using Onyx, that were taking place (mainly around VSAN and Distributed Networks). Now, using this new fling, users will be able to work with all the Public vSphere API functionality placed in the Web Client. Onyx for Webclient requires the vSphere Web Client Version 6.0.0 Build 2559277 as installed as part of vCenter for Windows or vCSA. How do I install Onyx? Enable BASH Shell and Enable SSH. Both options should appear like the image below. Use a tool such as WinSCP to login to the VCSA. Enter the Hostname & Credentials, then click ‘Advanced’. Login to vCenter. Continue past the Authentication Banner. Unzip the Onyx setup folder and upload ‘onyx-setup’ to the /root/ folder. type: ‘chmod +x ./install.sh’ to make the file executable. Type: ‘y’ to continue the installation. After the install script runs, the vsphere web client will restart. Once the restart has finished, you will be ready to use Onyx. To install onyx on a Windows vCenter, unzip the Onyx installer. Run the install script. Change the directory to the unzipped install files. Once Onyx is installed, you will see a few new icons. The Onyx icon is in the left-navigation pane, under ‘Inventories’ on the home screen, and in the top-right of the screen next to the search box. There is a red RECORD button next to the Onyx icon. When you are ready to record an action, click the record button. It will turn into a STOP button. Do not click this until you are finished recording the action(s). Perform the tasks in vCenter and click stop. Onyx has recorded your actions. Click the Onyx icon to see the code. You will now see all of the recorded PowerCLI.NET code. You can search through it using the textbox and search button. To work with the recorded code, click the SAVE button and save it to your local machine. To start over or to erase the recorded code, click ‘Clear’ you will need to confirm this action. Select ‘Yes’. Onyx is now clear, and you can start over. Once you have your Onyx recording, you can use a PowerCLI editor of choice to tweak the code to your needs. Stay tuned for more posts on Onyx and what it can do for you. Make sure to download and read through the documentation to ensure proper installation. Wow. As a fan of the old Onyx, I will definitely be using this! Wish I’d had it a couple of weeks ago. Great work and thanks a lot! Will the ability to output raw SOAP and native C# be returning? I followed the install steps to a tea. When I try to connect to vcenter with Firefox & Chrome, she throws an error, “503 Service Unavailable (Failed to connect to endpoint: [N7Vmacore4Http16LocalServiceSpecE:0x7f91f403c1c0] _serverNamespace = /vsphere-client _isRedirect = false _port = 9090)”. Did a restart on the appliance for good measure, waited but same error. Any suggestions? I reverted the snapshot to regain use of vcsa. I made another go at it but same error. This would be a very helpful tool for us. Thanks! There is a version for vcenter update1 and update2. Please check that you have downloaded the right version and reapply the install script.